The Arthur H. Robinson Map Library, a unit of the Department of Geography at the University of Wisconsin-Madison, serves a wide range of users from academic and non-academic communities. The library is located in Science Hall and is named after Professor Arthur H. Robinson, the well-known cartographer who taught on campus from 1945 to 1980. We are open to the public, and encourage Wisconsin residents and visitors to make use of our valuable collections. 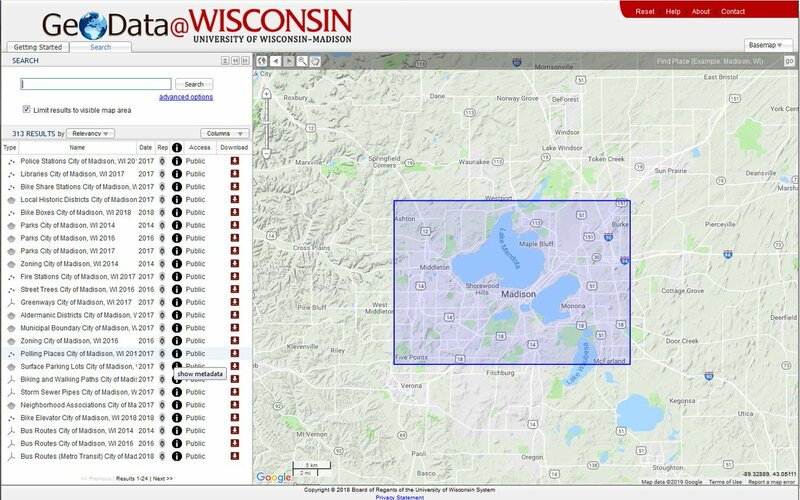 Map Library holdings include ~280,000 maps and ~260,000 historic aerial photos of Wisconsin. The collection contains only about 900 books and other bound volumes — mainly gazetteers, atlases, soil surveys, Wisconsin plat books, and other reference materials. Other physical materials include smaller collections of international aerial photography, nautical and aviation charts, globes, 3-D relief models, and wall maps. 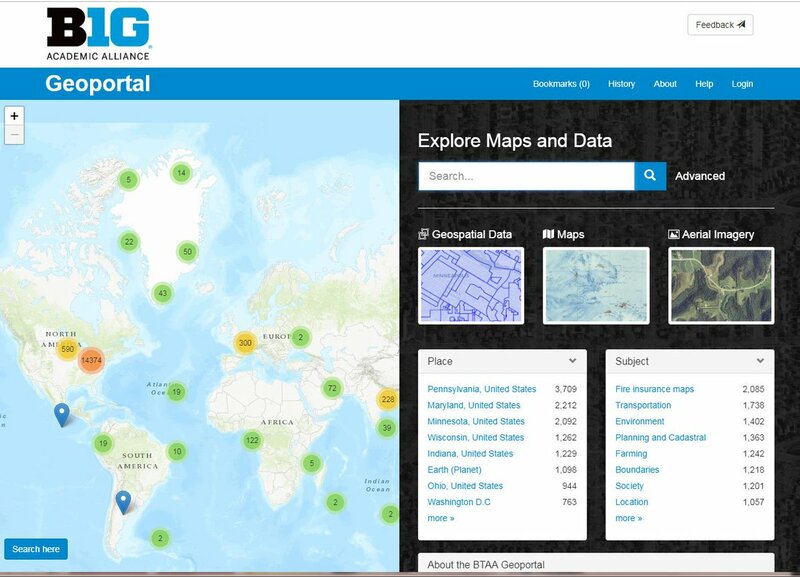 Geographic Information Systems (GIS) and digital geospatial datasets represent most of the library’s digital collections. 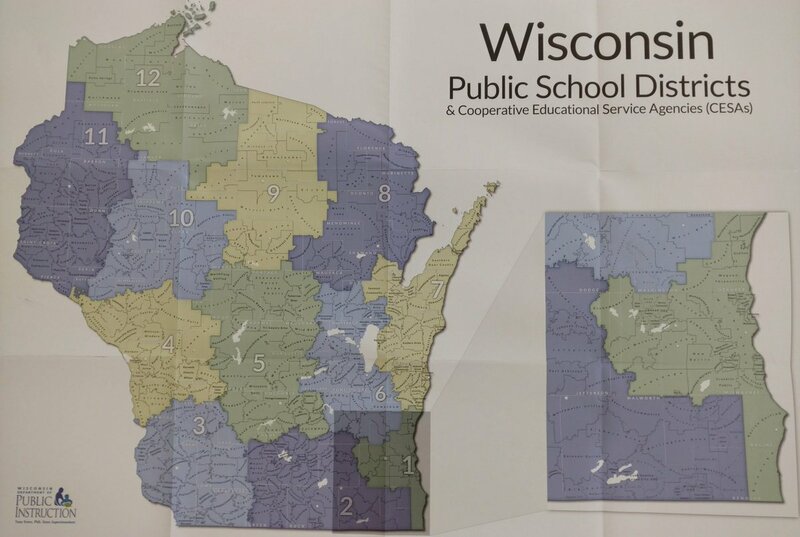 Data from Wisconsin government agencies, counties, and cities are archived in the library each year and are available for download via the GeoData@Wisconsin geoportal. Arthur H. Robinson served on the faculty of the Department of Geography of the UW-Madison from 1945-1980, teaching courses in cartography and physical geography. He was Chair of the Department from 1954-1958 and 1966-1968, was named Lawrence Martin Professor of Cartography in 1967, and was appointed Professor Emeritus in 1980. Largely through his efforts, the Bachelor’s and Master’s degree programs in Cartography were established; he was also involved in the founding and administration of the Map Library and the Cartographic Laboratory, becoming the latter’s first director between 1966 and 1973; and was instrumental in the creation of the Wisconsin State Cartographer’s Office, serving as Chair of the first Wisconsin Committee on State Cartography. Professor Robinson authored and co-authored many influential books and articles, including The Look of Maps, The Nature of Maps, and Early Thematic Mapping in the History of Cartography. His widely used textbook, Elements of Cartography, first published in 1953, has appeared in several subsequent editions. Professor Robinson served as president of the International Cartographic Association and the Association of American Geographers. He was the first editor of The American Cartographer. In 1981, in recognition of his outstanding scholarly contribution to the theory and development of cartography and in recognition of his leadership in cartographic education and research, Arthur Robinson was awarded the Dr. Carl M. Mannerfelt Medal by the International Cartographic Association. The Robinson projection was developed by Professor Robinson in 1963. It was the first major map projection to be commissioned by a large private corporation; Rand McNally hired Robinson to develop the projection because they were not satisfied with the ability of existing projections to create intuitively appealing depictions of the entire world. Rand McNally still makes extensive use of the Robinson projection, and the National Geographic Society uses it as well.